This four-bedroom property is a charming villa ideally situated in a private ‘hameau’, in a peaceful area with a wonderful sea view. The house offers 180 sq m of living space and has accommodation over two levels. The ground floor has the entrance hall, three bedrooms and 1 bathroom plus the terrace. At garden level accommodation comprises all, living room, dining room, the kitchen with terrace, one bedroom, one bathroom, and the cellar. Outside, the garden has around 1,500 sqm with swimming pool, terrace, and a large garage. There is also authorisation to build an extra 30 sqm. 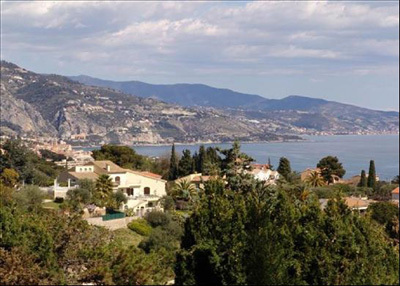 The house sits up in the hills around Roquebrune Cap Martin, looking down over the beautiful Bay of Menton. Nice is 45 minutes by car. The guide price is €1,8m. For further information please contact Knight Frank on 020 7629 8171 or visit www.knightfrank.co.uk.